"In 1982, in a village near Khamis Mushait in southern Saudi, one day word spread following heavy rain that a flash-flood was about to sweep down the valley. So the villagers near this bridge decided to shelter on the concrete bridge hoping it would be the safest place to protect them. They put their faith in concrete. They gathered there with their vehicles and livestock and waited. The flood came, yet it washed away both the bridge and the people on it. 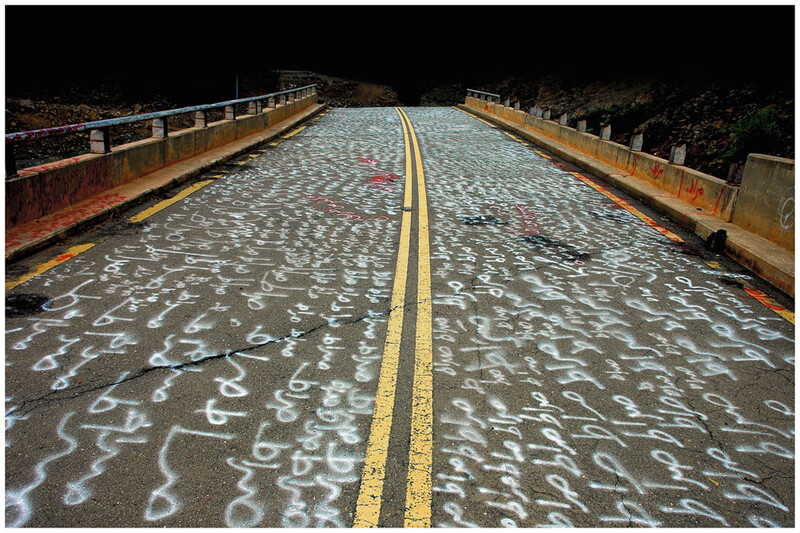 Many years later I have covered the remains of this bridge with one word: Al Siraat."